Super Drilling Pvt. Ltd. - Pipe Jacking In this trenchless technique, steel pipe is jacked by hydraulic system to cross roads, railway lines, highways, etc. We are capable to execute upto 1200 mm dia steel pipe by Pipe Jacking Method. In this trenchless technique, steel pipe is jacked by hydraulic system to cross roads, railway lines, highways, etc. 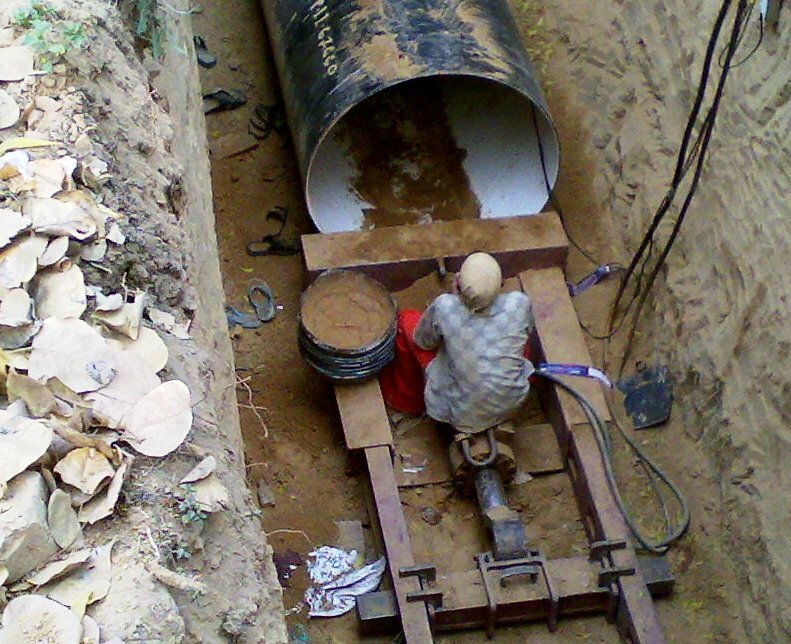 We are capable to execute upto 1200 mm dia steel pipe by Pipe Jacking Method.